More often than not, a survivor has to pick a knife without knowing what they are going to need out of it or how they will be using it. 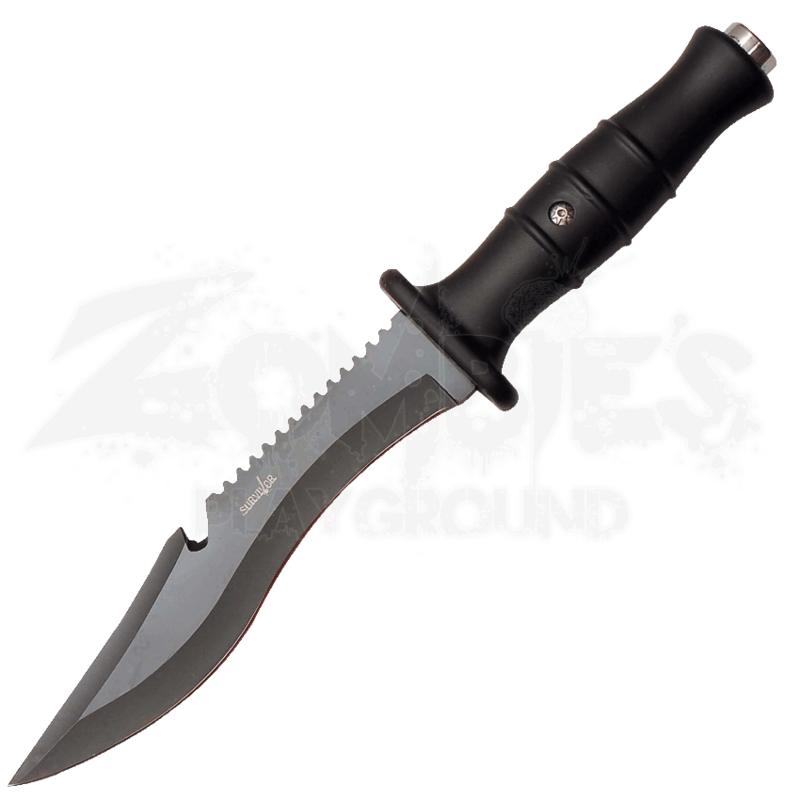 And if that is the case, make sure to pick something reliable and dependable, like this Curved Black Survivor Knife. With its sharper curved blade, this knife features a stainless steel blade that excels at cutting and slicing. It also features a very sharp clipped point, which ensures that it is just as good at stabbing and carving, too. Just beneath the back of the clipped point is a small recess in the blade that is great for hooking a variety of materials (and is especially useful when skinning). The back of the blade also features short teeth that are suited for grinding and sawing things into more workable, appropriate shapes. The rubber handle utilizes a simple guard that keeps things (zombies or anything else) from sliding down onto the hand, while its texture and shape helps to ensure a solid grip. And in a pinch, the disc-like steel pommel can be used for hammering or pounding. The knife has an overall length of approximately 12 inches, and it includes a nylon sheath that keeps the blade safe and dry, while also keeping the knife securely at your side. 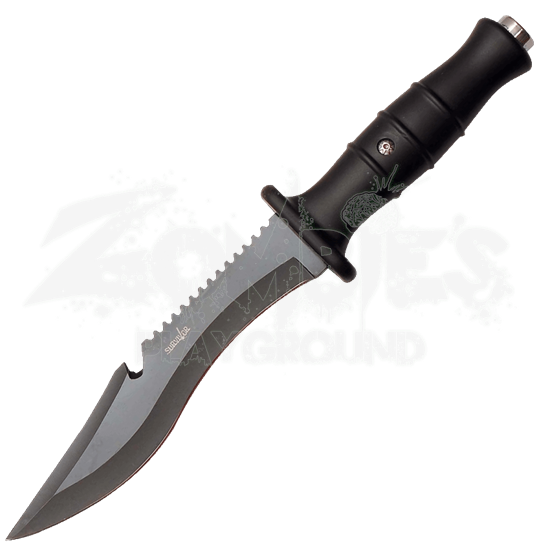 For a zombie survivor, it is normal to not know for certain what you need out of your knife. What is important is that you choose one that is rugged, versatile, and effective, one like this Curved Black Survivor Knife.